It’s the end of your work day and you decide to check on the progress of your PPC campaign. You search for your ad on Google or Bing, and find it missing from the search results. Panic mode sets in, just like when you drive home forgetting today was your turn to pick up the kids. Don’t worry, when it comes to your pay-per-click campaign, your ad probably wasn’t lost in cyberspace or eaten by your dog. Let’s say your monthly marketing budget is $150. When divided evenly over 30 days, this gives you a daily budget of $5. Let’s say your average cost-per-click is $1, and you have already received 5 clicks today. In this case, your ad will stop showing until the next day because you don’t have the daily budget for even one more click. It's possible that your budget can't accommodate all of the traffic available for your keywords and other campaign targeting settings. To make sure that your budget lasts throughout the day, your search provider will reduce how often your ads appear. Ads in the campaign can still appear, but might not appear as often as they could. If you search for your ad after you have exhausted the budget, consider increasing your budget to maximize your potential with pay-per-click. Is that keyword in your campaign? Remember to use one of the keywords that are in your SiteWit campaign in order for your ad to appear in search results. Sometimes the reason your ad does not appear in search results can be simple—that keyword is not in your campaign. 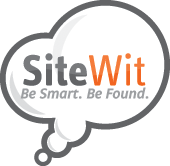 If you enter a keyword for your search query and don’t see your ad, head over to your SiteWit account and check that you have that keyword active in your campaign. The paid search arena gets more competitive every day. You may achieve top ad position today, but you can’t predict when your competitors will start out-bidding you. If the product or service you’re advertising for has a high number of competitors running PPC campaigns, it may be challenging to maintain a consistent ad position. SiteWit monitors your average position and your visitors’ engagement level to avoid being pushed to a less than ideal ad position. As you can tell, a lot of work goes into ensuring that your ads will show up on Google or Bing search results. If you’re already stress-eating chocolate cupcakes because your ad is not showing up, give us a call!